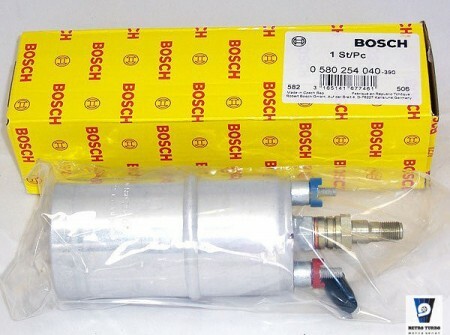 Genuine Bosch 0 580 254 040 high flow in-tank 040 internal fuel pump. 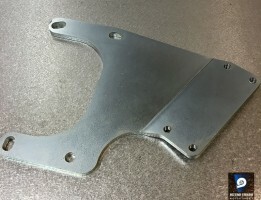 220 -240LPH of flow and operates at nominal 100 PSI. The Bosch 040 fuel pump can support vehicles on applications up to 500 horsepower in single pump mode. Can also be used in pair for setups well over 1000HP! This unit is more compact than the 044 pump for easy placement into the fuel tank location. 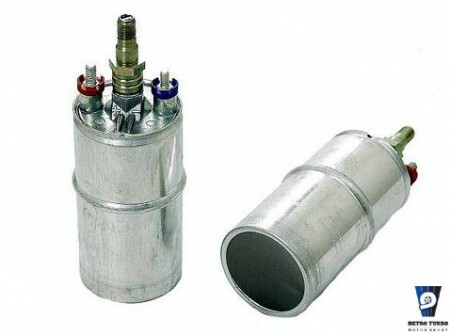 It works extremely well with high pressure fuel pressure regulators and is a good drop in pump for any high HP gas or ethanol powered turbo setups. This is a genuine BOSH product! Spec Info: 300 LPH free flow and 220-240 LPH at 5 bar (or 72.5 psi) for up to 550 BHP. The Bosch 044 Pump (similar to this one) is for use with external mounting & comes with a threaded inlet for adapting a feed hose/line. The Bosch 040 Pump (this one) is for use with in-take/internal mounting & comes with a open screen filter type inlet for submerged fuel pick-up. Electric contacts: + M6/ – M5. This product comes brand new directly from BOSH with 12 months manufacturer warranty. By purchasing this product you agree to our T&C found here. Get in touch for your requirements through contact form. SKU: bosh040. 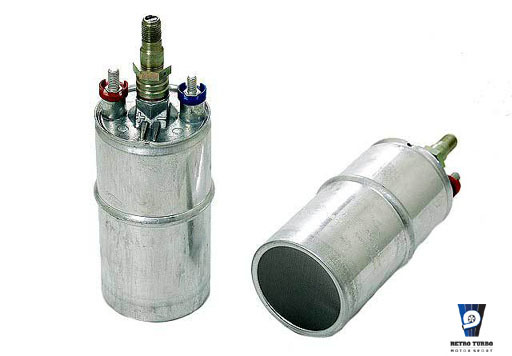 Category: Fuel Pumps, Fuel Pumps, Fuel Pumps, Fuel Pumps, Fuel Pumps, Fueling, Volvo 140 Series Parts, Volvo 240 Series Parts, Volvo 300 Series Parts, Volvo 740 940 Series Parts, Volvo 850/S-V70MK1 Series Parts, Volvo Amazon Series Parts, Volvo PV544 Series Parts. Volvo 740 940, Hydraulic handbrake lever bracket.